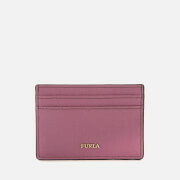 Women’s ‘Babylon’ wallet from Furla. 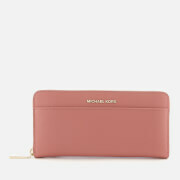 Crafted with premium textured leather, the pink purse fastens with a full-length zipper and opens to reveal a dual-compartment design bisected by a zipped coin pocket. 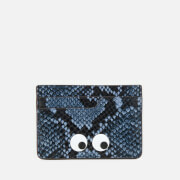 Twelve card slots feature inside, as does plenty of storage for notes, receipts and other small items. Gold-tone metallic branding to the front adds the finishing touch.